Your business is growing and business is booming, but you’re not quite sure how to get to that next level. If you find yourself in this situation, contact Ariel Joudai, CPA. Our CPA firm, located in New York, NY will provide the roadmap to guide your business towards controlled expansion and higher profit margins. We’re problem solvers with the financial insights and objective fiscal counsel to help your business phase out nonessential expenses, strengthen internal controls, and streamline accounting procedures. As your business consultant, we’ll bridge the gap between your financial data and how to use it to make smart business decisions. We’ll prepare accurate and informative financial reports that will empower you to clearly see where your money is going and develop the right plan to improve performance. 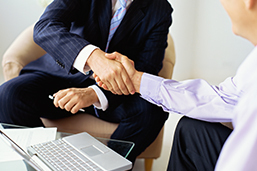 Most importantly, when you work with us, we'll become your devoted business advisor. As our client, we encourage you to approach us with concerns and we’ll always make ourselves available to answer questions or discuss major business decisions. Our consulting services are designed for business owners seeking practical recommendations on how to manage their money and reach their goals.